I took a look at Martinez’s wRC+ this season relative to league average, his 2011 season, and his career average entering the day and broke it down by groundballs, flyballs, and line drives. I think you’ll find it interesting. 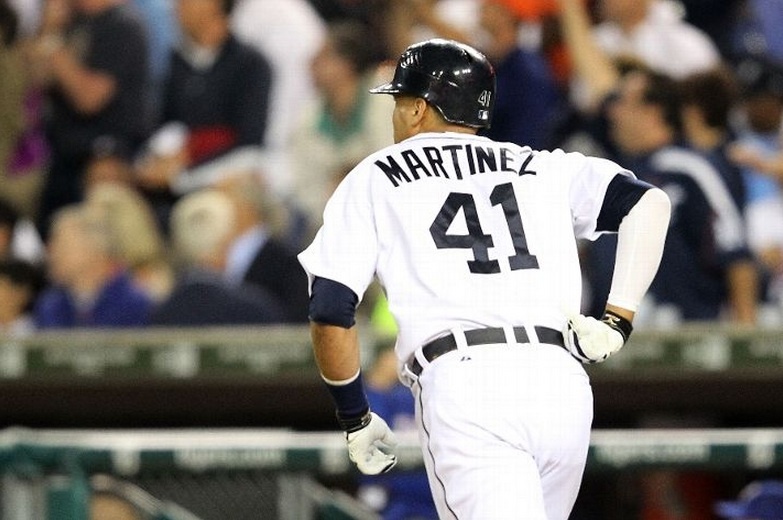 Notice how Martinez is a little below where we would expect him to be historically on line drives, but not so far off that we would think anything more than some aging at work. But look at the other numbers. My goodness, look at them. On groundballs, he has a 1 wRC+ which is about 20% lower than we’d expect. On flyballs it’s even worse. He’s at -3 despite a general expectation he’d be north of 100. 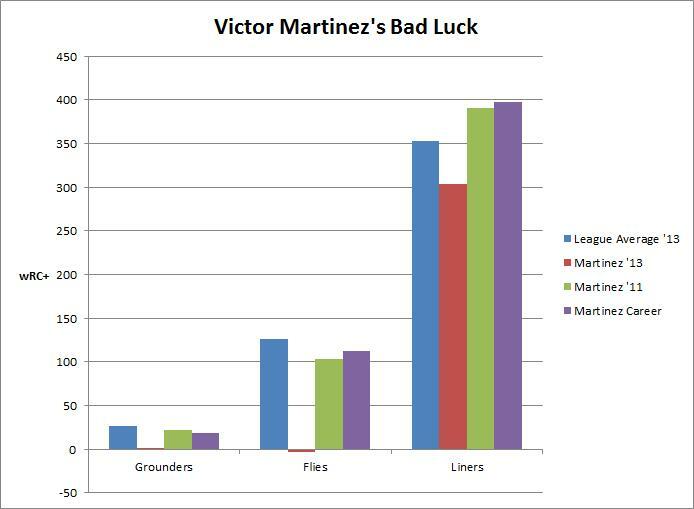 I’m not saying Martinez isn’t declining or having a down year, I’m providing evidence that he’s been unlucky. It might not be everything, but it’s something. I showed you earlier this week that Martinez is hitting the ball hard, and now I’m showing you how exactly that bad luck is playing out in his results by batted ball type. The great thing here is that the odds are in his favor. There’s no way this keeps up, and it might already be turning around. Don’t look now, but the hits might just be starting to fall.